Great handling, good NVH. Sufficient space inside. Small but just ample for 1.7m and below. 3 adults in rear will be a squeeze. Smooth and effortless acceleration. Was impressed that they fitted a 2L engine on a sub-compact SUV, which provide an excellent city drive. Mazda has tried to bring down the price of the car through the standard variant, ensuring that the car still drives as well but without the additional features. Definitely a competitor to challenge the Vesels and Qashqais in this car segment. However this car will not be recommended for bigger families as the car frame is relatively small. A previous owner of CX-3 1.5 diesel (brought in by PI), I went to Eurokars to test the new CX-3. I was impressed by the design language of the CX-3. The CX-3 seemed to have "Grown up" From the previous generation. It looks much bigger on the exterior. However, i was slightly dismayed when i checked out the rear seats. It was still cramped. 1) Still the cramp interior. NO CHANGE from the previous versions. 3) The standard trim comes with the same basic "radio knob" turner found in lower spec-ed Mazda 3. SERIOUSLY? The cockpit of the CX3 is simple and clear, no fancy technology, a digital speedometer with analog tachometer. Saw a simple description of automatic braking system in the brochure, it is not highlighted by the specification or salesman during the test drive. Hence, not sure if it is available. The CX3 back passenger seat is small. The height and foot space is okay for my height of 1.75m, just that it will be uncomfortable if you want to fit 3 fit man behind. The CX3 boot space was a shock, it is smaller than the boot space of Mazda 3 and 3 HB. It seem like the CX3 will only fit 2 large luggage if the boot cover is removed and the luggage are placed in standing position. Test drive the CX3 to have a feel of a 2 litre engine. Engine is smooth and quiet below 2000rpm. Quick and responsive acceleration when push to about 3000 to 4000rpm and engine noise is audible, but not irritating. Authorised Distributor Mazda cars are Mazda 2 Hatchback Reviews, Mazda 2 Sedan Reviews, Mazda 6 Reviews, Mazda 6 Wagon Reviews, Mazda CX-5 Reviews, Mazda CX-9 Reviews, Mazda MX-5 RF Reviews. Parallel Imported Mazda cars are Mazda Axela Diesel Reviews, Mazda MX-5 Reviews. sgCarMart is the number one car site for buying Singapore cars, including new cars, parallel import cars, Toyota, Honda, Nissan, Volkswagen, Mitsubishi & BMW. 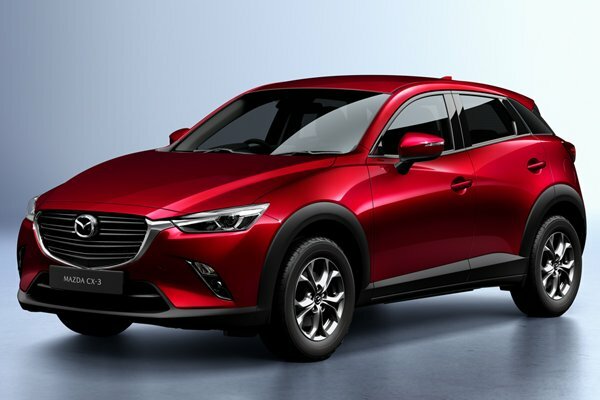 We have new car dealers comprising parallel importers, authorised car distributors, and used car dealers who have the New Mazda CX-3 latest price Find new car pricelists, new car launches, new car promotions, new car reviews, latest car news & car articles. Read the New.Mazda CX-3 consumer reviews to help you decide on buying a car. Also join our car discussion and forum discussion for car reviews, motoring news & motoring guides. Visit our partner sites who have job openings for Singapore jobs, Singapore classifieds, mover and real estate properties for sale.